Game description: Castlevania makes its debut on the PS2 featuring an enchanting storyline and intricate gameplay. In Castlevania: Lament of Innocence, you play as Leon Belmont, a man skilled in combat, as he struggles to free his betrothed, Sara, from huge monsters. Use combos and special moves on your perilous journey to the evil castle. Immerse yourself in the enhanced graphics and mesmerizing orchestral soundtrack. Discover the true origins of Dracula and the Belmont family in this exciting first episode of the saga. Castlevania: Lament of Innocence, released as Castlevania (キャッスルヴァニア, Kyassuruvania) in Japan, Europe, and Australia, is an action-adventure video game developed by Konami. 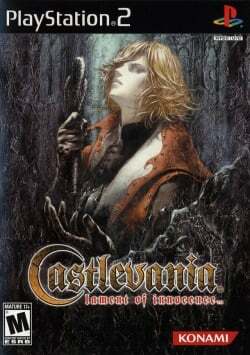 Belonging to Konami's Castlevania video game series, it is the first installment of the series on the PlayStation 2 and the third to make use of a 3D style of gameplay. Lament of Innocence takes place in the fictional universe of the Castlevania series. Set in 1094, it focuses on the origins of the series' premise—the eternal conflict between the vampire hunters of the Belmont clan and the immortal vampire Dracula. Lament of Innocence follows Leon Belmont as he searches a vampire's castle in search of his kidnapped betrothed. • Texture Filtering improves font text on anything higher than native resolution I got around 55-60FPS depending on the scenario. The only issue I came across was missing character shadows and minor texture flickering in at least 2 spots(outside shop window, one spot in castle). Everything else seems fine. Not sure if it freezes still as I haven't got that far. Description: Before fighting doppleganger, the cutscene will freeze. Workaround: Go to Config > Emulation Settings > EE/IOP tab, and set the Clamping Mode to None. Description: Shadows are missing in Hardware mode. Workaround: Go to Config > Video (GS) > Plugin Settings, and set the Renderer to "OpenGL (Hardware)" and CRC Hack Level to "Partial (OpenGL Recommended)" or lower. The same CRC Hack Level in Direct3D 9 or 11 will also enable shadows, but the shadows won't renderer correctly. Description: The garbaged textures appear when you scroll your inventory. Shows even in Software mode. Workaround: Has been fixed as of at least PCSX2 v.0.9.8. Description: Some sprites will display incorrectly, such as the pink blocking effect and the text displayed upon entering a new area. Workaround: Go to Config > Video(GS) > Plugin Settings, and check if the Renderer is set to "Direct3D9 (Hardware)". If so the issue can be fixed by disabling the Alpha Correction option. The issue can also be resolved by changing the Renderer to "Direct3D11 (Hardware)" or "OpenGL (Hardware)".